He has offices in Cleveland (within Lutheran Hospital), downtown Cleveland (near St. Vincent Charity Medical Center), Euclid (within Euclid Hospital), and in Woodmere. 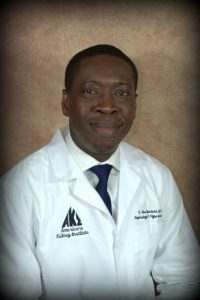 Dr. Opelami was raised in Nigeria and had experience practicing medicine in Africa, Great Britain and the Caribbean islands prior to immigrating to the United States. In his spare time, he enjoys playing soccer and spending time with his family. He also has a passion for community service and is a regular volunteer at a Greater Cleveland Food Bank location in Euclid.